The object of the paper is to provide an insight into the changes in livelihood strategies of the people in the Garhwal Himalayas over time. From sustaining an economy based on transit trade and subsistence agriculture, there has been a shift towards tourism in recent times. This shift has been due to the tradition of pilgrimage to the higher reaches and also due to promotion by the state by developing infrastructure and providing incentives. The paper is divided into four parts. In the first part, the policies of the colonial state and the events leading to the destruction of forests and the impoverishment of the self-sustaining semi-pastoral economy in the Garhwal Himalayas are outlined. It is argued that the destruction of forests and subsequently, the economy of the Himalayas were directly responsible for the large-scale migration to the plains. This also led to further exploitation of forests by the people who were unfamiliar with any other form of livelihood. The paper also discusses the policies of the newly independent Indian state and sees them as an extension of the British policy of large-scale exploitation of Himalayan forests for the purpose of development and economic growth. In the third section, the growth of ecotourism as a direct outcome of the process of deforestation and as resulting from the need of society to conserve and yet to earn a livelihood is discussed. The case study of the Gangotri region examines the dilemma faced by the people of Garhwal in sustaining their livelihood, income or the development in the area. In addition, tourism has fostered monopolies of groups external to the region thereby contributing neither to the income or the development in the area. In addition, there is an added threat to the environment-deforestation, and erosion-a direct outcome of increased and unplanned tourism. Such problems demand state intervention and management of tourism. The conclusion to the paper asserts that in order that the requirements of the society to progress and to sustain itself in its natural habitat are not compromised, it is essential to increase the process of democratization by strengthening local structures and by vesting the community with the autonomy to determine its future. 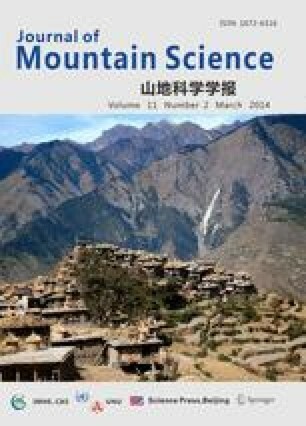 The paper therefore argues that ecotourism in the Himalayas undertaken without local involvement is not desirable. The constant need for local monitoring of external agencies or even of the State’s participation and the need for re-evaluation of environmental standards are cumbersome details that add to the costs of promoting low-impact tourism. To be viable, ecotourism should be community based and the needs of the community, their ideas of conservation should be given prime importance and local community must be encouraged to review the standards governing conservation. Local structures should thus receive patronage and promotion, so that ecotourism becomes a dynamic facet of economic development.